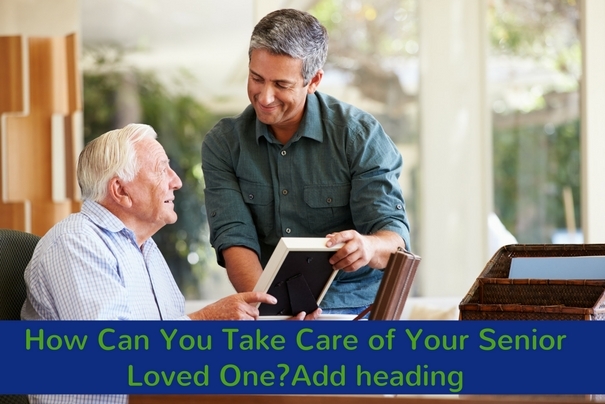 When you are the sole care provider of your senior loved one, there are many things you should keep in mind. So how can you make sure that they are able to get the care and the support they need? It is pretty simple actually. Just be there for them and help them when they need you. Here are some ways you can help your senior loved one. Taking care of an elderly is a full time job. You will need to be by their side around-the-clock. You never know when they would need your help. They may need some help using the bathroom at three in the morning, or they might need your help to prepare a delicious meal for lunch. It is important that you can assist them, 24/7. Remember why you are there and why you are taking care of your loved one. Show them the love they deserve. The last thing they want is to have someone who would take care of them, because no one ever wants to lose their independence and their ability to take care of themselves. So make sure you can show them the dignity and the respect they deserve. Since caregiving is a job that lasts all day, all night, all year round. It can take a toll on you both physically and mentally. This will also affect the level of care you are able to provide to your loved ones. It is important to get some rest every once in a while just to recharge your batteries. A Non-Medical Home Care Agency in Framingham MA such as Angelic Love Home Care can provide respite care. Respite care means we will take care of your loved one while you get the rest you need. You have nothing to worry about because our professional caregivers can give you the peace of mind you need. Your loved one is in good hands! Taking care of a loved one is a rewarding experience. You can strengthen your bonds with them and forge new memories, however, it can be exhausting. If you are looking for more information regarding how you can become a more effective care provider, or if you are curious about our respite care and our other services, please browse through our website. Also, if you would like to ask us any questions, we are more than happy to answer them for you. Just call us up at 508-861-7186. It is time to ensure your loved ones are getting the care they deserve. This entry was posted in Non-medical home care agency and tagged elderly care, home care agency, non-medical home care, senior care. Bookmark the permalink.